The original script for Star Wars Episode VII: The Force Awakens included a scene that would have revealed a young Luke Skywalker flashback that would have called back to The Empire Strikes Back. While Rey is having her Force vision, she would have ultimately experienced some of the epic dual between Vader and Luke. 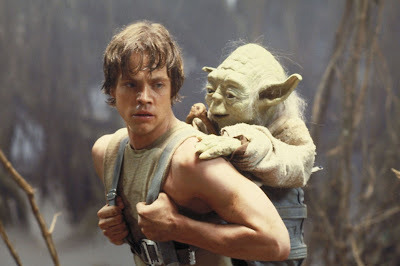 They had cast a new, younger actor named Robert Boulter to play Skywalker. However, JJ Abrams ultimately decided to cut the entire scene in favor of creating something new for his female lead. Below is the image of the actor that was cast in the role. He's a spitting image of Mark Hamill. Although, we'll never get to see the scene as completists, it's probably a good thing that Abrams decided not to walk on holy ground with the potentially damaging idea of reproducing a legendary scene.